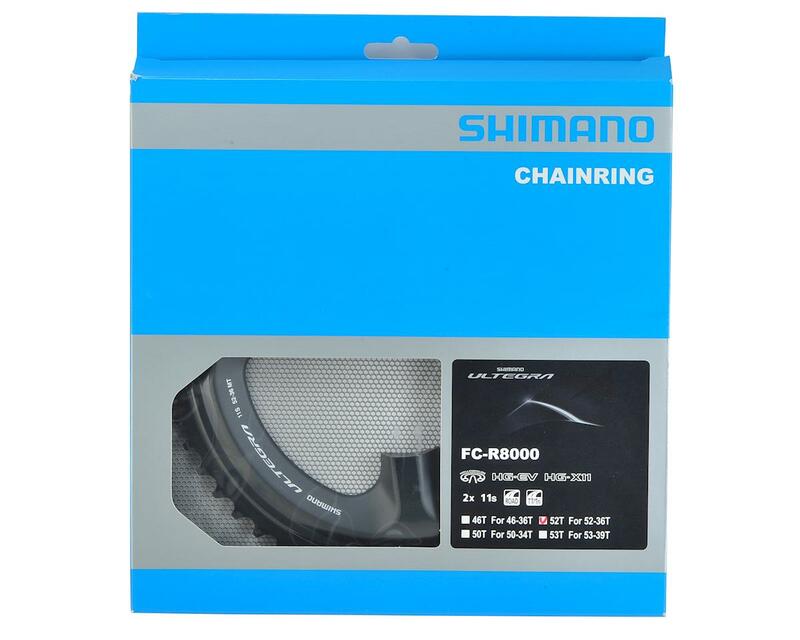 This is a Shimano Ultegra 8000 11-Speed chainring. 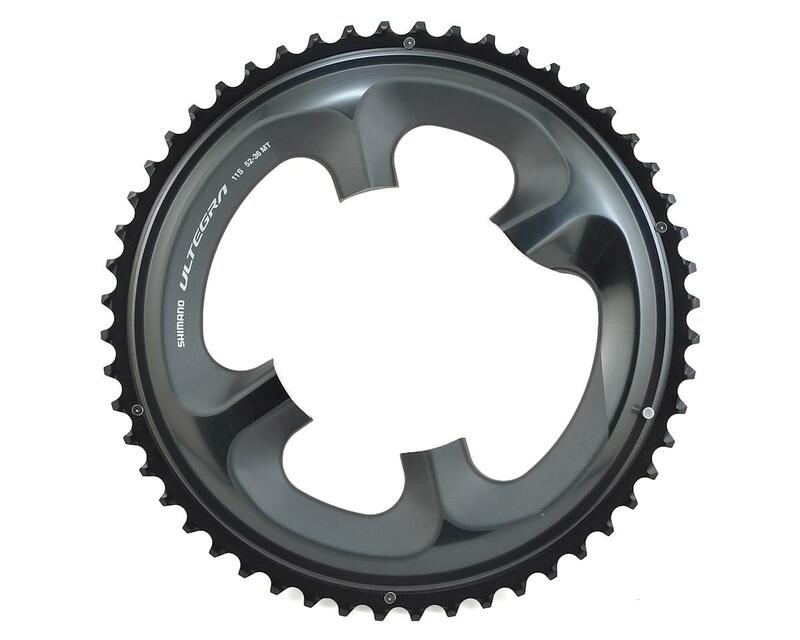 This outer ring is available in a 53 tooth or 52 tooth size intended for a standard 53/39 chainring combination or a mid-compact 52/36 combination respectively. It utilizes Shimano's proprietary asymmetrical 110mm bolt circle diameter.